View cart “Hot Wheels 1955 Chevy Gasser Flat Black” has been added to your cart. 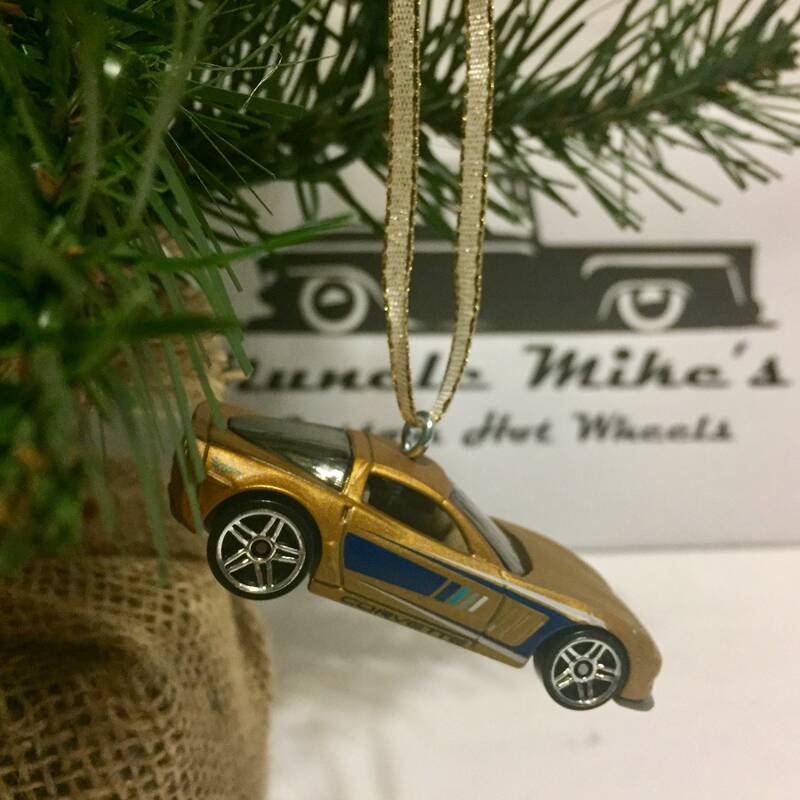 Hot wheels Gold with blue pinstripe Corvette Christmas ornament. Cars may have minor factory defects as received from the manufacturer.